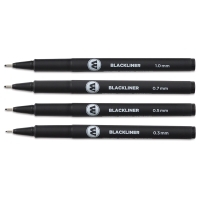 Molotow Blackliners contain a waterbased, pigmented black archival ink for making exact lines and outlines. 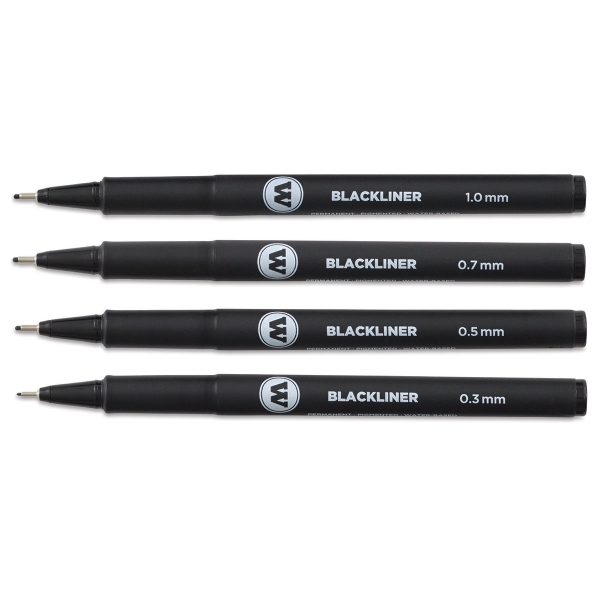 The ink dries quickly to an opaque, permanent finish that resists water, chemicals, and fading. 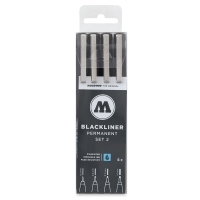 Metal-encased tips. Sizes from 0.05 mm–1 mm, plus chisel and round. Three-hour cap off time. 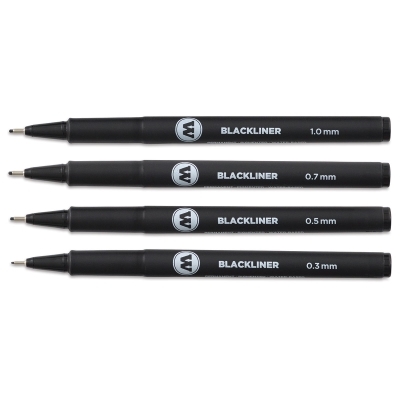 This set includes four Blackliners, one each of 0.3 mm, 0.5 mm, 0.7 mm, and 1.0 mm.